obocastulan® is an addition to our existing obomodulan® product range. 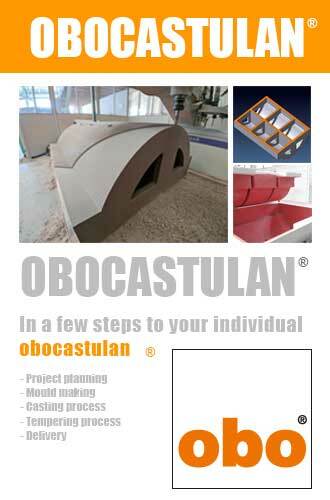 With obocastulan® we enable you to create jointless models, tools and moulds. 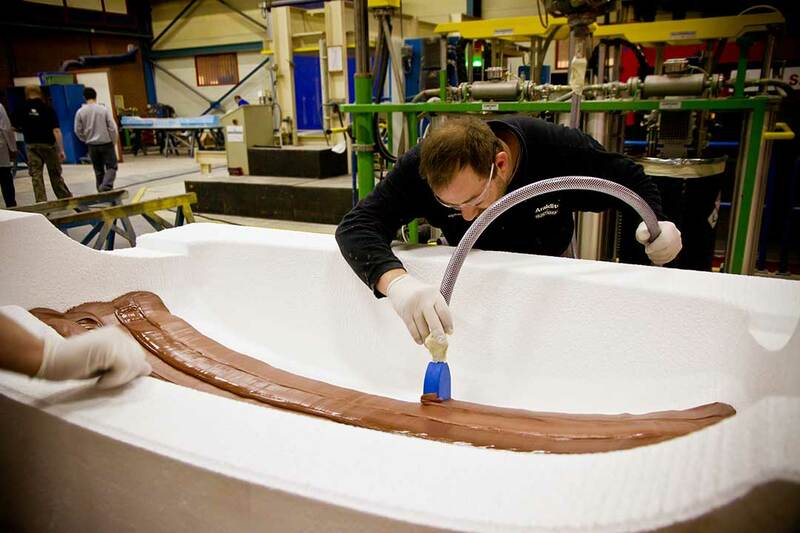 Our product portfolio covers the entire range of applications in combination with the close contour cast process. This means that even very large geometries can be produced jointless. 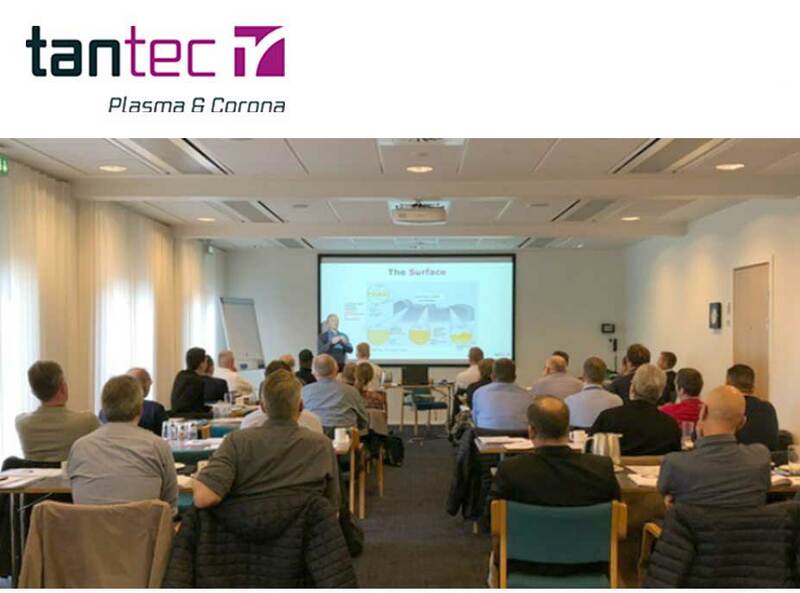 You will benefit from our modern CAD technology during the planning and the implementation of your ideas. We are familiar with the handling of sensitive data. The safety issue has a high priority at every stage of production. Our hardware and software is equipped with a modern safety technology. All technical data relating to the material and its processing has been compiled carefully and is correct to the best of our knowledge.The information cannot, however, be taken to be legally binding nor as any commitment that the material has certain properties or is suited for any particular purpose. 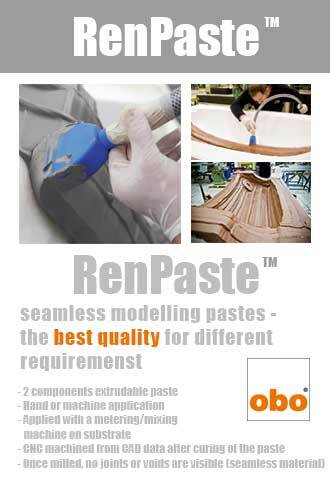 OBO-Werke GmbH manufacture RenShape® boards and RenPaste™ seamless modelling paste under License from Huntsman Advanced Materials (Switzerland) GmbH. Ren® is either property of or licensed to Huntsman Corporation or an affiliate thereof. Pictures on the cover page, right picture bar: www.fotolia.com, all further pictures with kind permission of Huntsman Corporation. 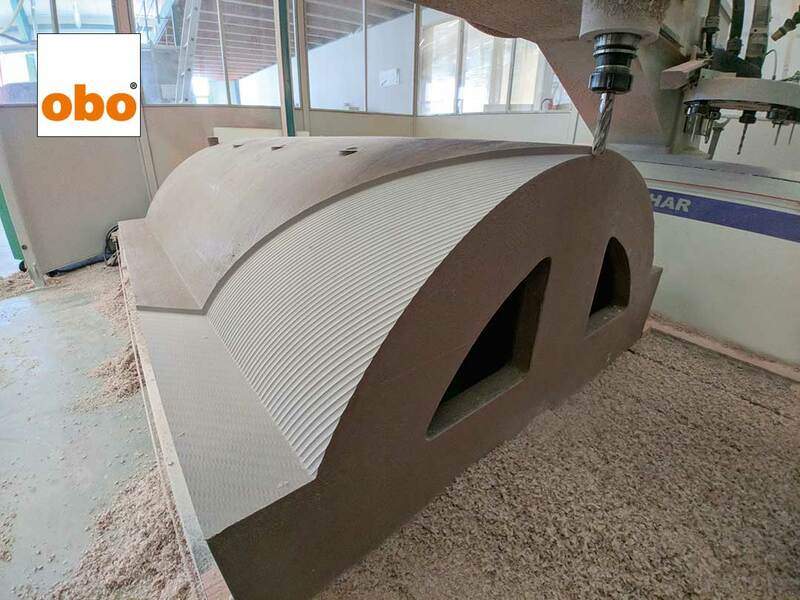 We develop and produce boards and cast blocks predominantly used in model construction, tool making and mould production. 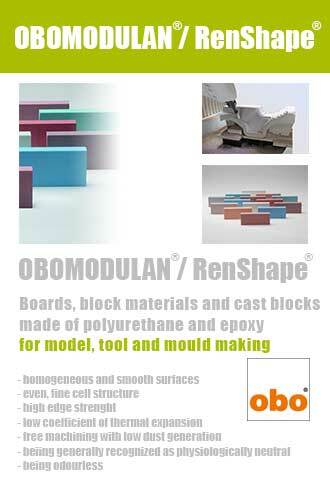 We also manufacture specially cast or glued blocks of obomodulan® to our customer’s requirements. På grunn av stor interesse er fagdagen Torsdag 23 Mai nå fullbooket.Men vi har åpnet opp for en ny dag Onsdag 22 Mai med samme program. Flybussekspressen, Linje FB11 til holdeplass «Vestby bru» = Vestby Storsenter (Senterveien 6, 1540 Vestby). Avreise Oslo Lufthavn 08.10-fremme «Vestby bru» = Vestby Storsenter ca. kl. 09:10. Ikke alle har oppdatert GPS til det forholdsvis nye industriområdet hvor vi befinner oss. Se i kartet på høyre side.